It’s not hard to understand why a Pensacola resident would choose 31-W Insulation for a new garage door. We are an experienced home improvement company that offers top-notch products and expert installation service. Our A+ rating from the Better Business Bureau testifies to our long list of and satisfied customers, and we welcome the opportunity to include you among them. No matter what color or style you choose, you can be confident that your doors will provide you with years of low-maintenance performance. That’s because they are constructed from rugged steel or aluminum, and they offer a feature that residents in storm-prone Pensacola can appreciate – high wind-load resistance. 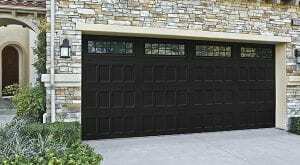 Our garage doors also come standard with flush-mount hinges and pinch protection to reduce the risk of hand injuries. To ensure that your new garage door provides you with the performance and protection you seek, only our trained and experienced employees will perform your installation. And, to give you peace of mind in your purchase, we back all of our installations with a one-year labor warranty in addition to the limited manufacturer warranties that cover all of our doors. What are you waiting for? Contact 31-W Insulation today and schedule a consultation at your Pensacola home.